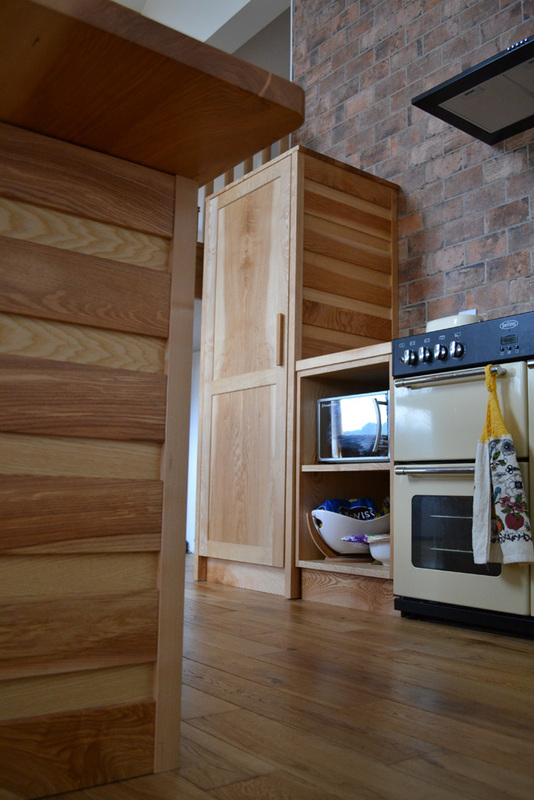 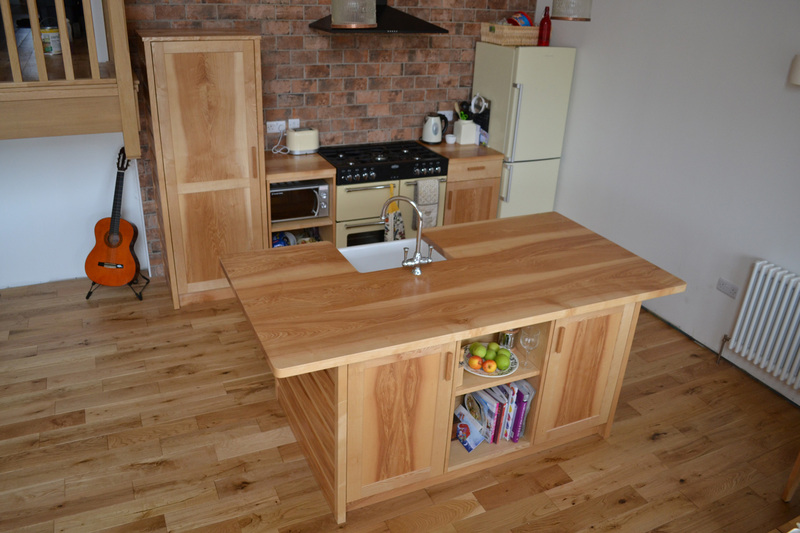 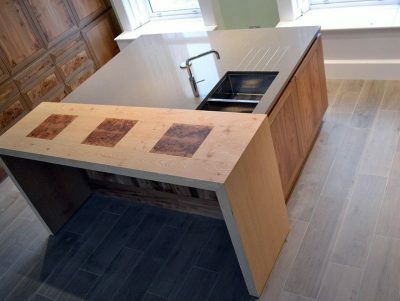 This stunning Ash Kitchen was a collaboration between two of our designer-makers, Ross Ketteridge and Alasdair Wallace. 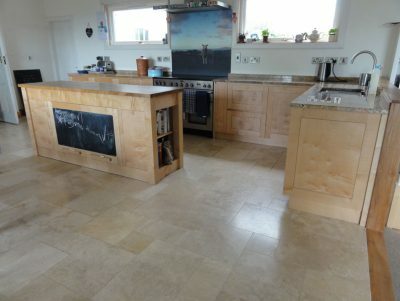 This kitchen was designed and made for a beautiful new build home overlooking the Eilden hills here in the Borders. 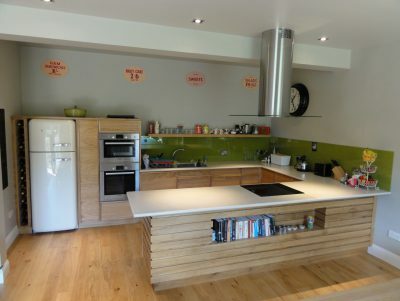 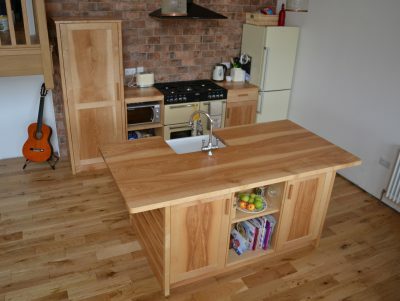 The kitchen is in an open plan living space with double height ceilings and features a large island unit with fitted appliances and a Belfast sink. 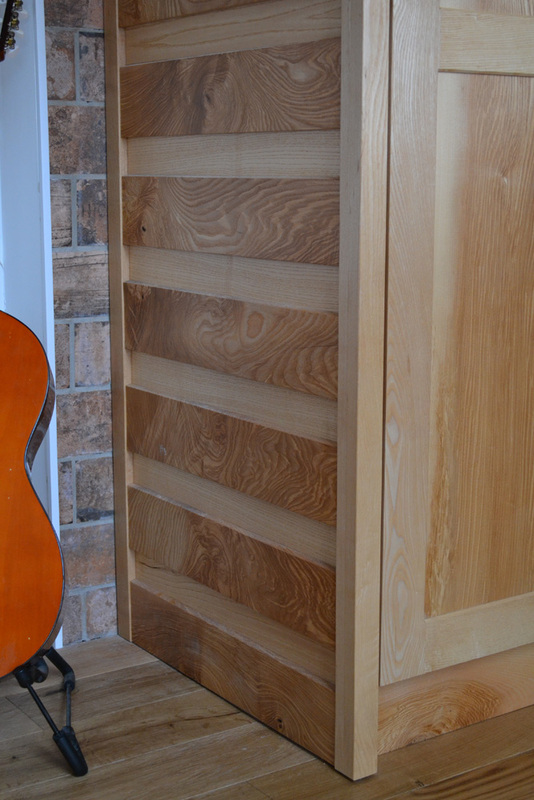 The door panels are book-matched and the wood was all carefully selected so as to best show off the striking contrast between the olive heartwood and the lighter sapwood.